Holistic, coaching from USAC L3/USAT L2 Endurance certified coach for all levels of athletes. Injury prevention, nutrition optimization, mental skills, successful use of available training hours in challenging lifestyles are focus areas. Specifically, we coach using data interpretation, health maintenance, mental preparation, nutrition, injury prevention and your life obligations. All aimed towards the goal to get you to your start line fit, fresh, and ready to be fast! Holistic, balanced and consistent, experienced 15-time Ironman; plus numerous completions sprint thru long course triathlon. >50+ marathons w/3 Boston completions, a NYC marathon qualifier (to bypass NYC 26.2 lottery--tougher standards than Boston), multiple BQs qualifiers. Am living proof that you CAN get faster as you get older! 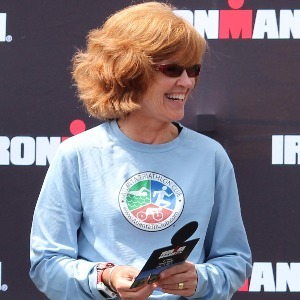 Ironman podium finisher x 3: 2017, 2016, 2013; USAT All-American 2018, 2017, 2016 (injuries 2015, 2014), 2014, 2013; USAT Honorable Mention 2012; USAT Top 11% 2011; Ironman Gold All World Athlete 2013; Ironman AWA (Silver/Bronze) 2018, 2017, 2014 (significant injuries 2014, 2015 so not much racing! ); Ironman 70.3 Age Group Champion 2013 (Augusta); Ironman 70.3 World Championship Qualifier for 2014. Consistent top 10% placement in local --> national races. USAT Level 2 Endurance/USAC Level 3 certified coach with success in coaching all ability levels, from beginner to elite, and all age groups. My focus is on balanced coaching, helping you manage training needs and stress for optimal performance, and life obligation balance. 2018 was my effort to refocus on blasting some fun back into fitness and training, remaining injury free. My 2019 is about honing brain & body back into 'race mode' personally; and continuing helping YOU to get to YOUR finish line with passion! Success. Coach KIM LOCHER has been notified of your message. To hire KIM LOCHER as your coach, select the coaching service that is right for you.